Here are some recommendations on what to do and see on a winter vacation in Budapest. Our city offers a wide range of events, exciting programs throughout the winter months, starting with the Christmas market on Vörösmarty tér usually till 31. December 2017. Don’t think that Budapest isn’t fun during winter! Besides the main Xmas Fair, there are others on various locations in the city: in front of the Basilica, at Városháza Park in the city centre, in the Palace Quarter in district VIII. and a few other smaller holiday bazaars. fun winter activities that the whole family can enjoy. Although January and February are less active regarding programs, you can still have a terrific time in Budapest! There is always a great exhibition or concert on not to mention the many restaurants, cafes, bars and clubs. Where To Stay During Your Winter Vacation? TIP: Stay at a spa hotel to indulge during your winter holiday. Budapest is the city of healing waters, and apart from Spa & Wellness Hotels that offer special treatments based on healing waters, many other hotels have spa and wellness facilities. The largest spa center is the Aquaworld Budapest that opened on 5th December 2008 in the northern part of the city along the M0 motorway ring at the Pest head of the Megyeri Bridge. Address: Íves út 16., district IV. 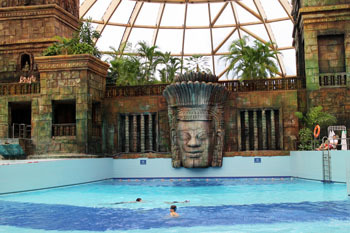 The huge establishment is said to be the largest water theme park in Europe. TIP: It’s quite far from the city centre but you can get there by a shuttle bus (No. 230) from Heroes’ Square free of charge. Entry is quite pricey, but you’ll sure have a great time especially if the weather doesn’t allow you to do anything exciting outdoors. It has long opening hours from 6 am till 10 pm. See excat prices on the resort’s website. 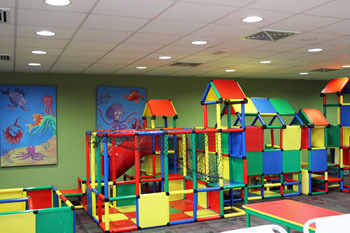 Highly recommended for families with kids, since Aquaworld was designed with kids’ entertainment and safety in mind. The restaurant serves simple food at affordable price: pizza, a couple of soups, main dishes and desserts. If you wish to have just a drink (coffee, beer, cocktails, juices) head for the cafe located right next to the restaurant. If you’ve had enough splashing in the pools with your toddler you can play in the Bongo Playhouse located next to the children’s pool. The 4-star Ramada Resort Hotel on the Aquaworld site opened on 8th December 2008. You can pamper yourself in the Oriental Spa, Wellness and Fitness Centre of the hotel. 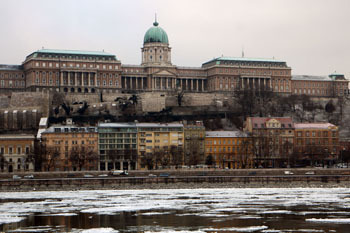 The Aquincum Hotel is situated near the Buda side of Árpád Bridge facing Margaret Island (Margitsziget). The Thermal Spa Complex of this modern city hotel offers several ways of relaxation for a winter holiday. 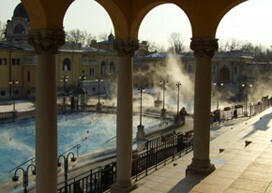 Apart from spa hotels there are the thermal baths where you can spend a couple of rejuvenating hours. the famous New York Cafe and Salon Restaurant downstairs. The Four Seasons Gresham Palace is another top-rated luxury hotel offering splendid view, excellent service and great rooms. See other Five-Star Hotels and browse our list of 4-star Budapest Hotels. We also reviewed some of the Best Hotels in Budapest City Centre. A downtown hotel is ideal if you want to be able to reach all the important sights and attractions by walk. See also some of the best Romantic Hotels in Budapest. TIP: If you prefer to have your place of your own rent an apartment preferably in Budapest’s centre so that everything will be within easy reach. After the program-packed, festive December, January and February might seem uninteresting. Luckily this is not the case. Weather is usually quite chilly this time of the year with some snow and temperatures below zero. 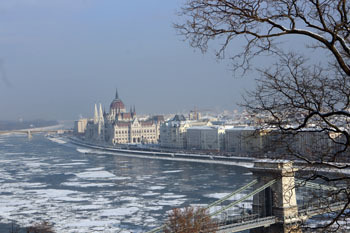 Dress in layers, put on a warm coat, cap and gloves, comfy winter shoes, and you’re ready to enjoy Budapest in winter. After a sightseeing program (either by walk or bus) or hunting for good winter sales (most shops and stores offer enticing discounts in the first months of the new year up to 50%-70%), you can get warm in the hot pools of the thermal baths or re-energize your body and mind in a day spa. 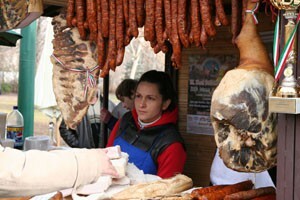 Mangalica Festival 10-12. February 2017. is the first large-scale event of the winter with all-things of Mangalica pig (sausages, ham, cracklings) along with crafts fair, musical and children programs to enjoy for the whole family. Venue: Szabadság tér, district V., M2 metro Kossuth tér station, M3 metro Arany János utca station , tram 2 Kossuth L. tér stop (5-minute walk from each station). 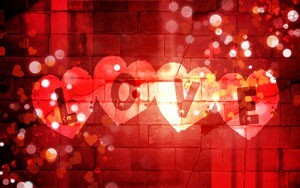 Valentine’s Day on 14th February is celebration of love all over the Western world. Although this day was known as Bálint nap in Hungary before the mid 90ies, with some folk customs and beliefs attached to it, the commercialized version of this mid-February day became quickly wide spread. Besides the cliche box of chocolate and bunch of flowers, see how you can enjoy Valentine’s Day in Budapest! According to Catholic and folk traditions, Thursday following Ash Wednesday is the last day before the 40-day Lent preceding Easter when you can eat and drink till your full. Restaurants in Budapest had seized on this opportunity and on Gluttonous Thursday you can dine and wine half-price in the participating restaurants. TIP: On our January in Budapest and February in Budapest pages you’ll find more program and things to do recommendations. Our city is famous for its thermal baths where you can relax and heal in the hot pools fed by natural springs rich in mineral elements. 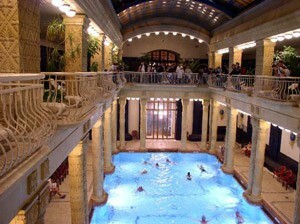 from the turn of the 19th-20th centuries like the Gellért, Széchenyi and Lukács Thermal Baths. 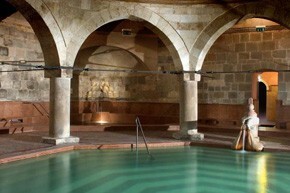 The baths have been refurbished in recent years, and are offering new, modern treatments and services. A hot bath and sauna, followed by a luxurious massage will make a cold wintry day in Budapest more enjoyable. TIP: Buy your ticket to the Gellért and the Széchenyi Baths online and avoid queuing at the entrance. Fast, hassle-free entry so that you can fully relax and heal in thermal pools. TIP: The Lukács Bath (address: Frankel Leó u. 25-29., district II., Buda) has Sauna Parties each Friday between 22.00 and 02.00. Tickets: 5 000 HUF, sauna towel: 200 HUF. Most of the important historic and cultural sights can be explored on foot if you plan it well. or taste fine wines in the historic Faust Wine Cellar. TIP: A good way of seeing the must-see monuments of the city is by planning the sightseeing based on Budapest’s World Heritage Sites. If you’re interested in Jewish history and monuments, include a Jewish heritage tour in your sightseeing program. If the weather is not nice for walking use Budapest’s extensive public transport system including the 4 metro lines. 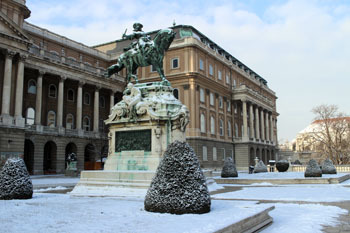 See more wintry Budapest photos on our Facebook page. 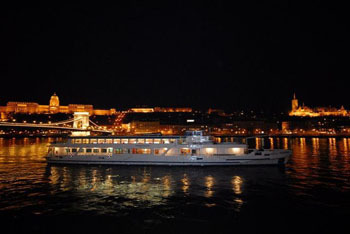 Night river cruise, concerts, wine tasting, night clubbing – just a few good program tips for a night out in the Hungarian capital. For a romantic night out take the evening cruise with dinner & live music starting at 19.00. 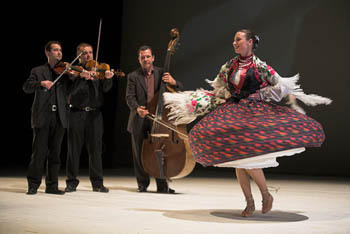 Besides the sightseeing, where you can admire illuminated Budapest, a generous buffet dinner, drinks and live gypsy music provide for a lovely evening program. On another evening of your stay you can have a delicious meal in one of the many Budapest restaurants, or you can sample great wines produced by the best Hungarian wine producers from Villány, Szekszárd, Tokaj, Eger, and from other lesser known wine growing areas of Hungary. Museums in Budapest always have exciting exhibitions, and a cold day in winter is ideal for museum hopping. Tickets are affordable (1 500-2 000 HUF/adult for the permanent exhibitions). If you want to immerse yourself in our cities thousand-year history visit the permanent exhibits in the Budapest History Museum. 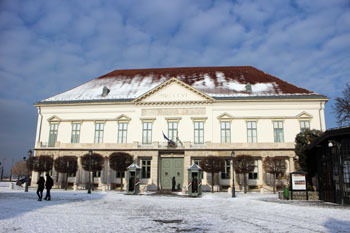 It is located in the Royal Palace of Buda Castle (Szent György tér 2., district I., building “E”). This is a vast museum with displays on several levels starting from the basement (showing the Gothic era). 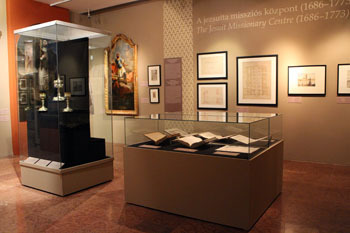 the Habsburg era through archealogical findings, touch-screen monitors, and period objects. TIP: If you have only an hour visit the Light & Shadow exhibit on the 1st floor that covers the 1000-year history of the city in a modern, interactive way – older kids (from ages 7-8) will also enjoy it since they can try the fun intercative games. 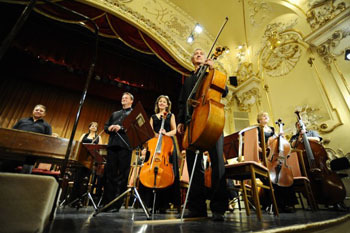 The Duna Palota in downtown (Zrínyi utca 5., district V.) also hosts Classical Music Concerts performed by the Danube Symphony Orchestra and the Danube Chamber Orchestra. 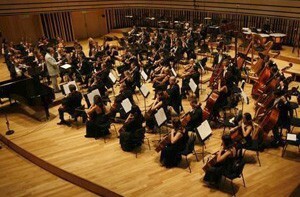 The concerts start at 20.00 and consist of two 45-minute sessions. 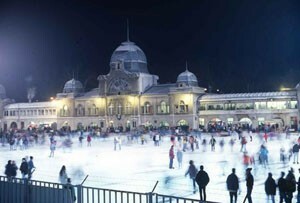 Go for ice skating on City Park Lake (Városligeti Műjégpálya) one of the largest and the oldest outdoor skating rinks in Europe. The rink welcomes skaters usually between mid-November and mid-February. You can hire ice-skates with your passport or other personal ID. Rental fee starts at 800 HUF (1 hour). You can find more details on the ice rink’s website. Skate rental is available: 1 500 HUF + ID card with photo or 5 000 HUF deposit. There’re a couple of other ice rinks in Budapest like the one in front of the Bálna/Whale building, the Jégterasz on the rooftop of the Aréna Shopping Centre. More details: official website of Aréna Jégterasz. Address: Fővám tér 11.12., district IX. 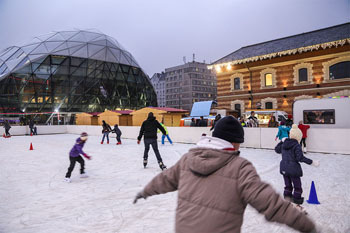 The futuristic Bálna Shopping & Cultural Centre (parts of the Martian movie were filmed there) is the most scenic spot for skating in Budapest. 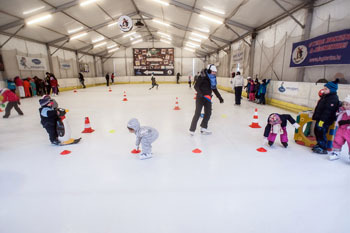 A 450 sqm ice rink is right by the Danube in Pest and it’s free to use. Entry is free. Skate rental is 1000 H UF for 3 hours. TIP: You can have some craft beer or coffee/hot chocolate in the Jónás Beer House on the ground floor afterwards or in the Mayer Csokoládé shop (underground level). The Beoplay new wave cafe (in the Bang & Olufsen shop, ground floor, northern end) specializes in top-quality coffee drinks. Opening hours: Since the ice rink is used for ice hockey and skating trainings as well as schools can use the rink, there are time slots designated to each group. Here’s a complicated table showing the time slots for each group.-the banana green cells are for public use. family (2 adults + 2 kids under 14): 4 000 HUF. If you prefer the Buda side head for Jégterasz near the Mammut Shopping Centre. The season lasts from the beginning of October till end of April. So this the place where you can enjoy this wonderful winter sport the longest in the city. The covered rink is quite spacious: it’s 30 m long and 15 m wide. There are heated, lockable changing rooms and showers in the building of the former shooting gallery next to the ice rink. Get refreshments in the buffet (hot tea, hot chocolate, coffee, soft drinks, snacks) or you can have an affordable but tasty meal in the Jégkert Cafe located on top of the ice rink. If you’re lucky to visit Budapest when it’s covered in snow head for the Buda Hills for some exciting sleighing. 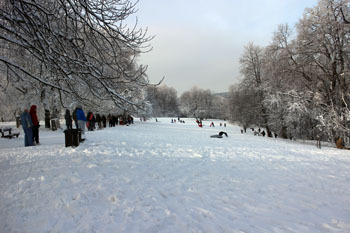 Normafa is the prefered spot for sleighing down the slopes (can be reached by bus No. 21 or 21A from Széll Kálmán tér (M2 metro or tram 4). A breathtaking vista, clean air are the reward for taking the time to get there. You can also ski and snowboard. János-hegy the highest peak of the city and its environs with the Erzsébet Lookout on its top. Kids can also wear themselves out on the wooden toys of the forest playground. If you time your visit during the Christmas season, the city will definitely enchant you. Streets, shop windows adorned with festive lights add magical beauty to the city, diverting your attention from the cold, dreary November-December weather. nibble Hungarian pastries (Kürtös kalács, a cylinder like pastry baked on the spot, is a must) and other snacks. 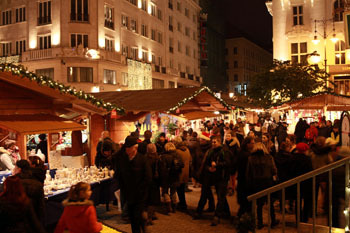 The programs of the Christmas market allow you to get a glimpse into Hungary’s folk culture. Craftsmen sell their authentic artworks in more than 100 wooden stalls. An Advent Calendar is usually displayed in the windows of the Gerbeaud Coffee House and at 17.00 every day between 1st-24th December festive chime play announces the opening of a new window in the calendar. There’ll be Christmas markets at other spots within the city. Perhaps the Advent Festival by Basilica on Szent István Square offers the same festive atmosphere than the main Xmas fair at Vörösmarty tér. TIP: See also our tips on what to do on Christmas Eve in Budapest! Discover other Christmas Fairs in Budapest. See also our Budapest in December page for event and activity recommendations.